Spc. 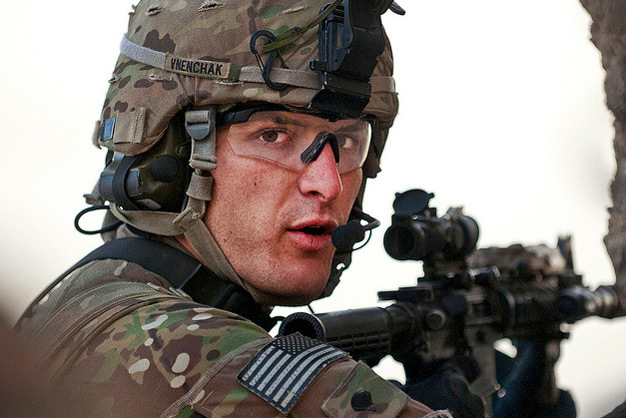 Justin Vnenchak, an infantryman with the 82nd Airborne Division’s 1st Brigade Combat Team, maintains security in his sector while fellow paratroopers and Afghan policemen search a compound on April 8, 2012, in southern Ghazni province, Afghanistan. US Army photo by Sgt. Michael J. MacLeod.